Happy New Year! I seem to have become a bit stuck at blogging. I started blogging 7 years ago and have done so regularly, right up until last year when my life fell apart and I broke my shoulder! Things are on the up and it's about time I started blogging again as I have missed it. I have been a bit rubbish about taking photos, so I'm going to ease myself back in by showing you the presents I bought for family and friends (and myself!) at various craft fairs in and around Nottingham last December. I managed buy almost completely handmade last Christmas - exceptions being my brother (I couldn't find handmade whiskey! ), my dad (so hard to buy for) and my nephew (who got some toys as well as his handmade goodies). 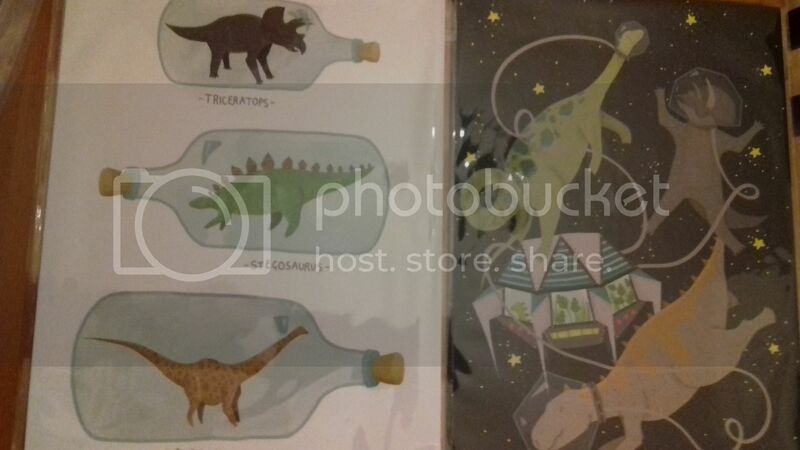 These cards are Stuff and Nonsense by Corrina Rothwell. I saw her at a lot of the fairs and she's so talented. I hope you can read them if you click on the photo? These three cards sum me up perfectly so I bought them, then a frame and they're proudly displayed on my living room wall. 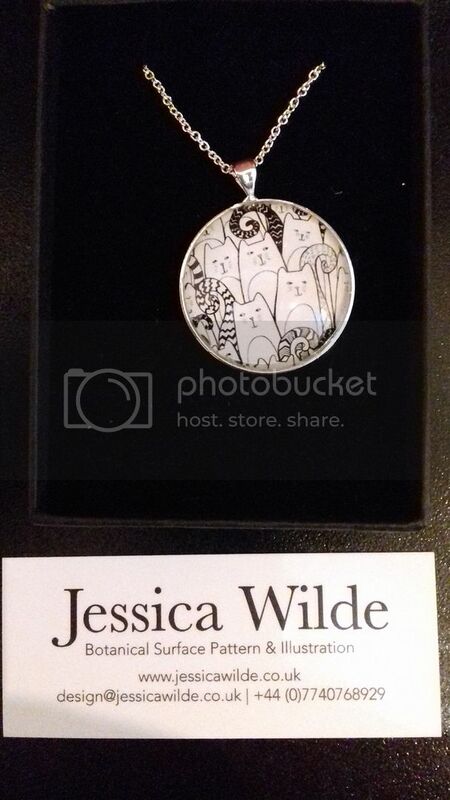 Jessica Wilde has some gorgeous botanical prints and jewellery pieces. I picked this one up for my cat loving niece. Hello Sunshine made these fab Gin bottle earrings, and the picture is by Sarah Turner Eco Art and Design. The pictures are made from real cans. 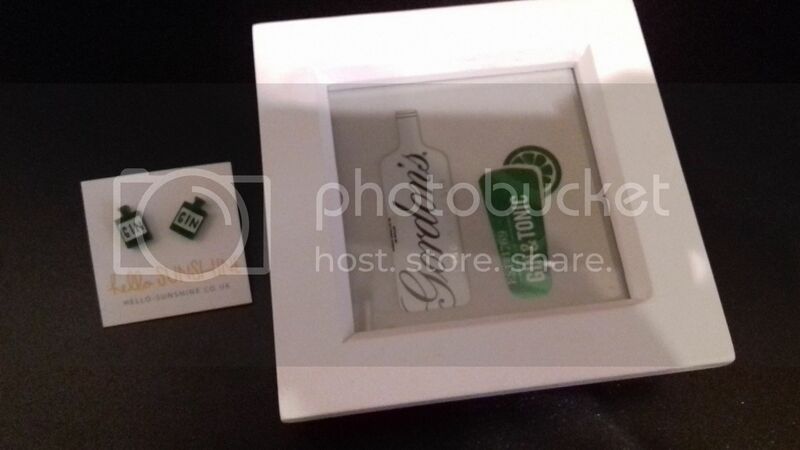 My sister-in-law is quite fond of gin so these were destined for her. 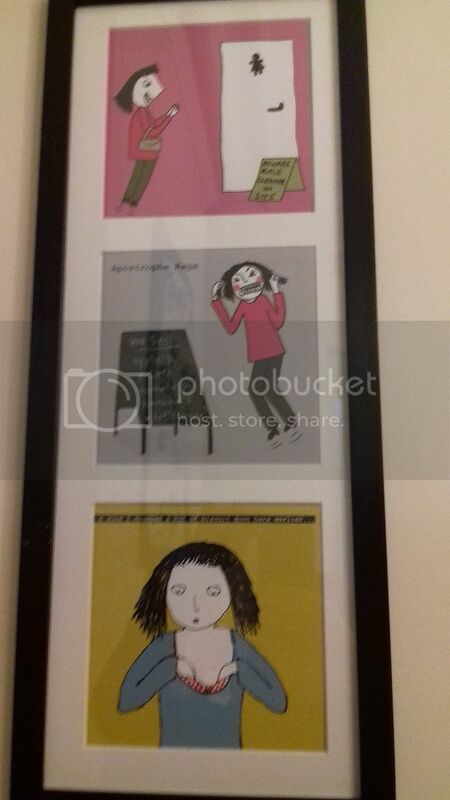 Hannah Stevens is another talented local illustrator and these pictures suit my nephew down to the ground, so I bought them and then some frames to put them in. This wasn't all the presents I bought, but I seem to have forgotten to take photos of the rest! I've been so tempted to join in some of the 2018 challenges I've come across around the blogosphere, but I don't think I'd be able to keep up. I'm still easing myself back into crafting and blogging and perhaps should keep the pressure off. Maybe next year! It's all too easy to get swept into hustle and bustle. Keeping the pressure off seems like a very good idea for easing yourself back in. It's supposed to be fun, after all! What lovely handmade gifts...they're the best kind! I always love reading your blog when you’ve had the chance to write. Ease yourself back into it and hopefully you will get your love for it back. It’s not meant to be a chore! All the best for 2018.
best not to make too many plans for crafting . . . just take things one project at a time. Take it steady and craft as and when you want to. As someone once said to me, we're human BEings, not human DOings! Love that cat pendant you found for you niece! The cards look like they'd be very fun and appropriate even though I can't read any of the text on them. Some years I'm able to give handmade almost exclusively and then other years I buy everything. Seems to be one of the cycles of life! Great to hear from you again Wendy, hope 2018 turns out to be a good year for you. Sounds like you had a rough time in 2017 so I hope 2018 is far more kind to you. I like on the Nottingham / Derbyshire border, so I must live fairly close to you. Small world.